Clearance version of our Octaspring 8500 with last season's cover. 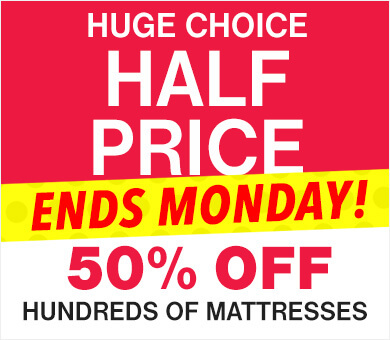 Huge savings off original prices! 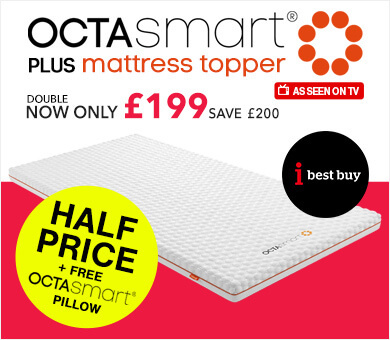 The Octaspring® 3 Plus Mattress is one of our deepest and most luxurious Octaspring® mattresses providing unrivalled ventilation that keeps you cool and fresh all night long, while delivering superb comfort and cradling memory foam support for your entire body. 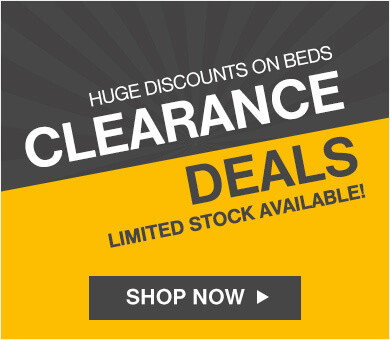 You will get comfortable quicker, fall asleep faster and spend more time in deep sleep and wake up feeling refreshed. That’s what sleeping on the next generation mattress means. That’s the difference Octaspring® makes. 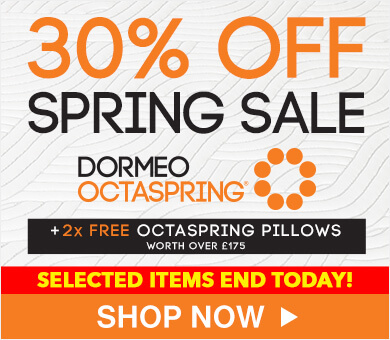 The Octaspring® 3 Plus mattress is the softest in the collection made from 3 extra deep comfort layers. 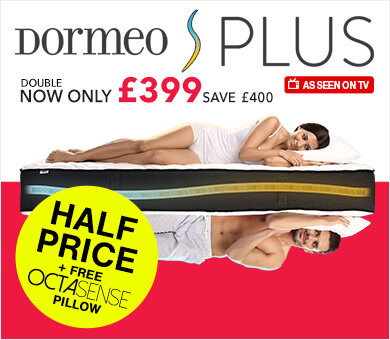 Sink into a layer of breathable Octaspring® memory foam springs arranged in 3 zones - softer memory foam for your head, shoulders and legs and firmer springs for the hips, topped with a deep layer of luxurious memory foam ensuring you enjoy deep muscle relaxation and truly rejuvenating sleep. 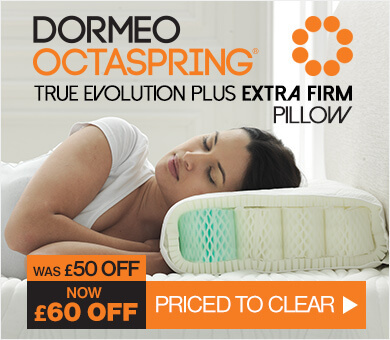 The middle layer has 5 zones of Octaspring® springs in different firmnesses arranged in support zones to create a sleeping environment which gives more support where the body is naturally heavier and more comfort where your body is lighter. 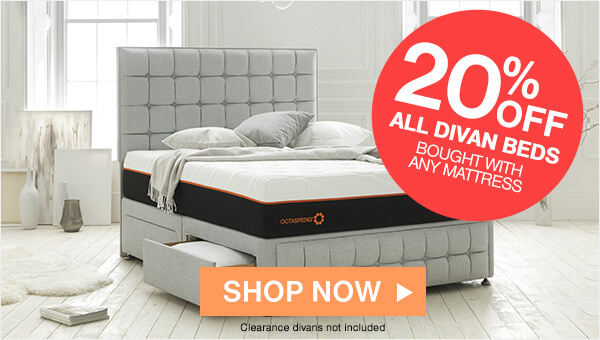 Finished with a third foundation layer of extra supportive Octaspring® foam springs, it evenly distributes your body weight and provides pure Octaspring® comfort…Welcome to Octaspring® - sleep reinvented.